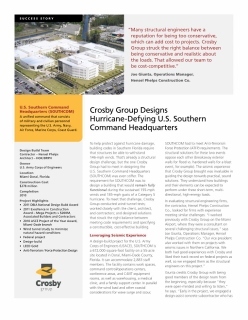 Crosby Group provided structural engineering for the design-build of the U.S. Southern Command Headquarters facility in Miami-Doral, Florida. 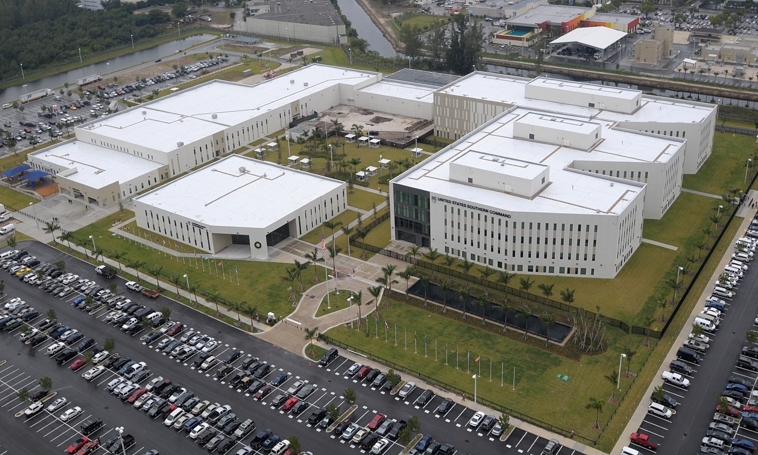 The campus includes approximately 672,000 square feet accommodating 2,883 staff in three (3) zones: the Headquarters (HQ) zone, the Coalition & Interagency Operations Center (CIOC) zone, and the Services zone. These zones contain work spaces, command and control/operations centers, conference/meeting areas, C4I/IT equipment rooms, warehousing, a medical clinic, a family support center, and other common personnel-support facilities. Due to the nature of the organization’s missions, the new HQ facility must have designated work areas to conduct Unclassified, SECRET, and Top Secret/Sensitive Compartmented Information (TS/SCI). Areas where classified information will be processed required special infrastructure construction. 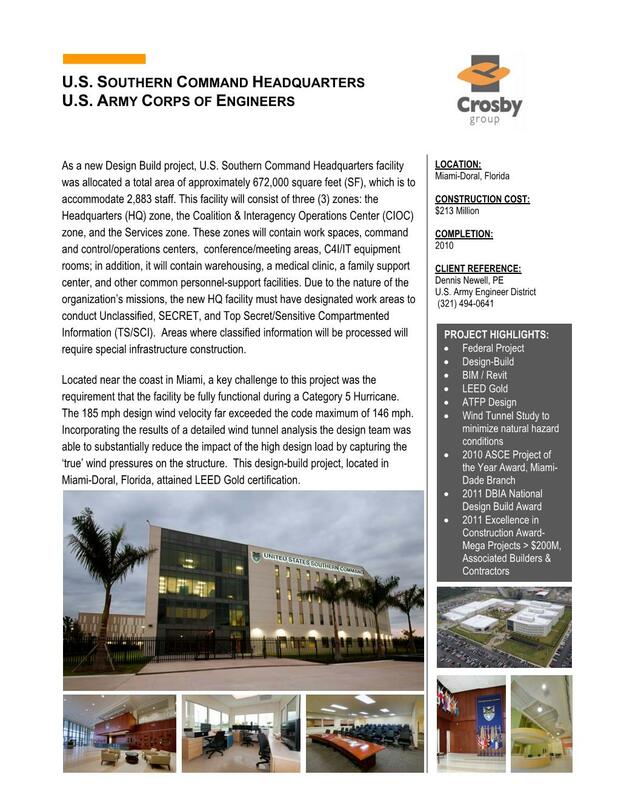 Located near the coast in Miami, a key challenge to this project was the requirement that the facility be fully functional during a Category 5 Hurricane. The 185 mph design wind velocity far exceeded the code maximum of 146 mph. Incorporating the results of a detailed wind tunnel analysis the design team was able to substantially reduce the impact of the high design load by capturing the ‘true’ wind pressures on the structure. This design-build project, located in Miami-Doral, Florida, attained LEED Gold certification.